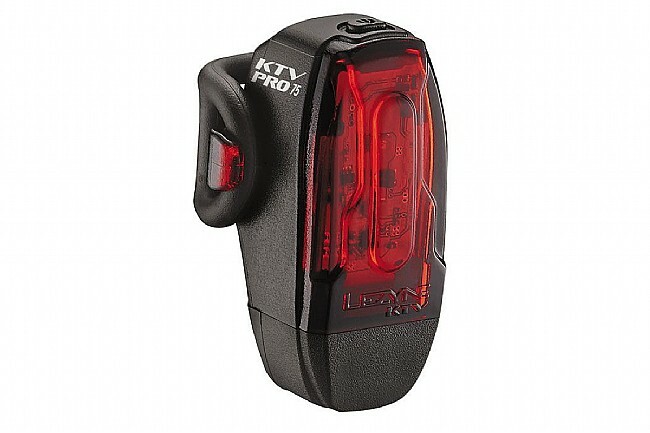 With the Lezyne KTV Pro Drive Rear Light, you get a compact, highly-visible waterproof light for safe commuting or training in all light situations. 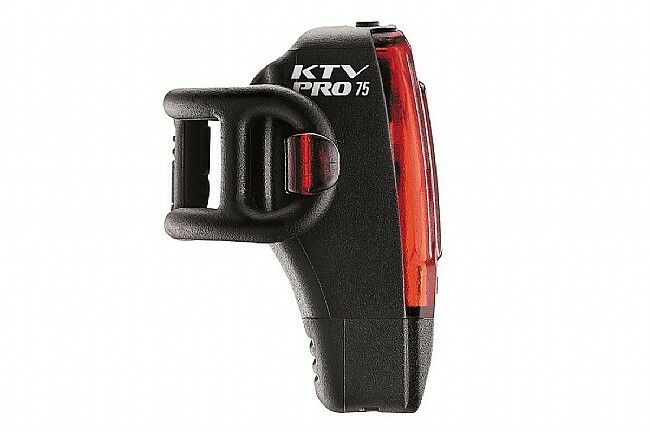 Featuring dual ultra-bright LEDs, the KTV Drive Pro provides up to 75 lumens of daylight-visible light with an extended lens that's visible in 180º. Featuring a unique mounting design that is compatible with both aero and standard seatposts, this light is as versatile as it is functional. Blast: 20 Lumens / 3 Hours. Economy: 3 Lumens / 13 Hours. Day Flash: 75 Lumens / 7 Hours. Flash 1: 25 Lumens / 6 Hours 15 Minutes. Flash 2: 10 Lumens / 13 Hours 30 Minutes. This is perfectly designed for seatpost mounting. The silicon band is just right and the back of the light has a silicon textured surface which grips the seatpost and keeps the light there. Several brightness and blink patterns are selectable from a single button press. Holding the button powers on off. I wasn't too fond of the USB prong style charger (verses the cable) because it takes up too much space on my USB strip, but I've adapted. I think I still prefer a cable, but I really like this light. This light is great piece of mind for riding both day and night.